If you’re ready to remodel your home in Cave Creek, Arizona, or a nearby community, look no further than the professionals at Legacy Design Build Remodeling. Our team comes equipped with 40 years of experience and is backed by the 12th largest remodeling company in the nation, Dreamstyle, so you can feel comfortable knowing that your design is in the capable hands of experts. Our team will help you enhance the appeal and functionality of your residence so you can feel proud of the home you fell in love with so many years ago. In order to achieve this, we’ll begin your project with a complimentary consultation where we’ll begin to get to know the ideas and needs you have for your remodel. At this point, our certified design team will give our own recommendations and get started creating a fully realized layout of your remodel. 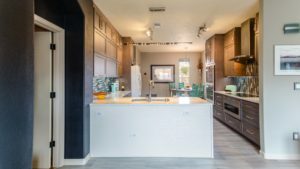 For more information about the home remodel options we provide to homeowners in Cave Creek, AZ, and the surrounding communities, contact Legacy Design Build Remodeling today. When you do, make sure to ask about the financing options we offer to all qualifying homeowners.